The Holiday Season officially kicked off with the Deep Cove Weavers and Spinners Guild annual Christmas luncheon. This year we enjoyed the company of some of our past members. It was great to catch up on what everyone has been doing and renew old friendships. The joy of the occasion embodied the spirit of giving and I'm sure the warmth will carry on as we entertain our friends and family over the next couple of weeks. The tradition of gift giving is especially exciting for those of us who lovingly handcraft items for special people on our list. The anticipation of their reactions and the feeling of gratification when our hard work is acknowledged warms our hearts and inspires us to carry on. The spirit of giving carries on to those less fortunate and what better way to show we care than with a warm article of clothing created with our hands. 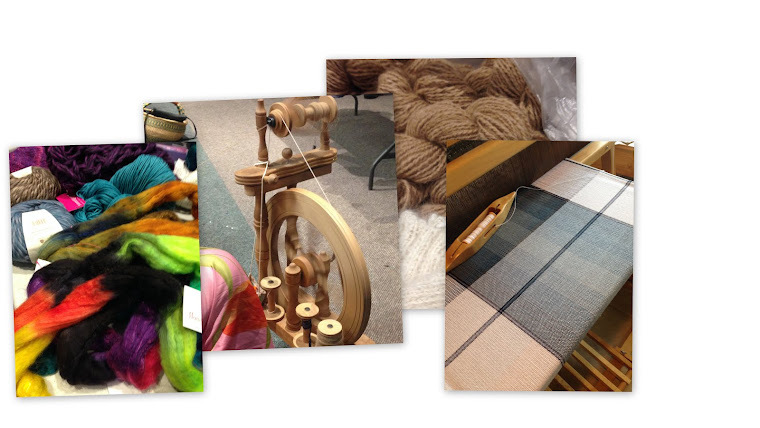 The Deep Cove Weavers and Spinners proudly support the "Out of the Rain" project in Victoria and send our good wishes to the recipients of our labours. As December comes to an end we reflect on the events of the past year and look forward to a creative New Year. We wish you good health, the warmth of companionship and a Happy New Year! Enjoy some of our favourite show and tell items from our Guild members. Anita's tea towels are a work of art!